June 6, 2012 By This post may contain affiliate links. 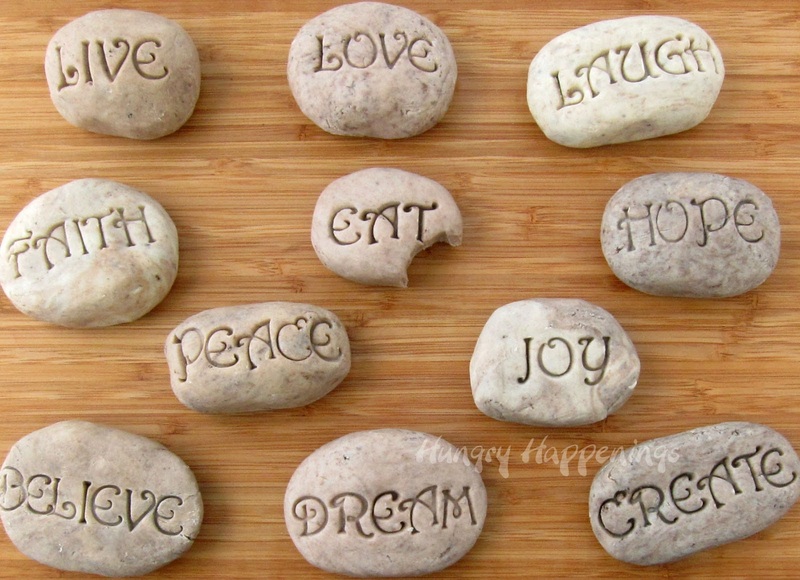 These Sweet Serenity Stones are the perfect treat to make and give to the special people in your life! 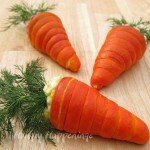 They are delicious and unique, the best part of any gift you give! Just a few days ago I shared with you a recipe to make cookies ‘n cream fudge rocks for a fun Father’s Day project. While I was creating my sweet stones, this idea popped into my head and I just had to share it. 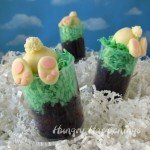 I know this is the third edible rock recipe to grace these pages in the past month and some of you may be saying, “enough already,” but I think this one is really great and worth sharing. I promise I’m done with this idea, for a while anyway! 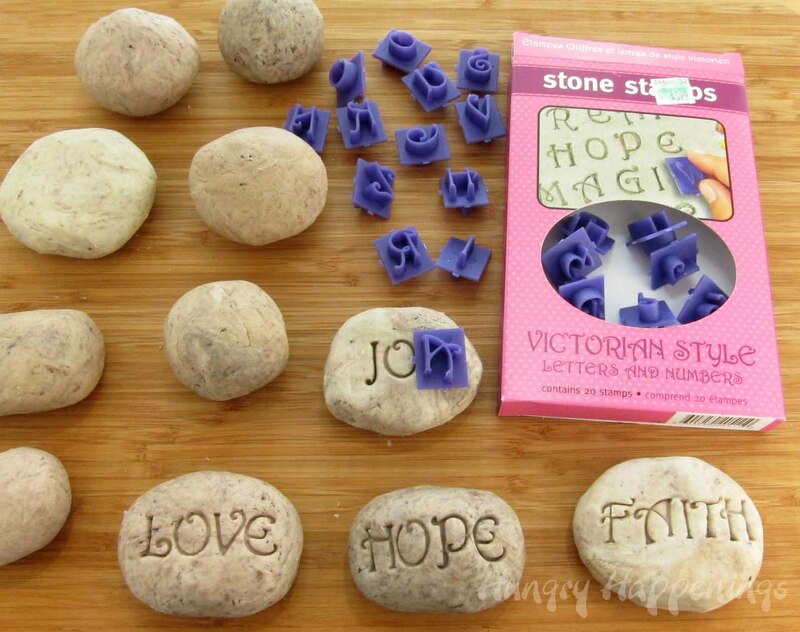 I had just purchased some stone stamps last week, not really knowing what I’d do with them, but figured sooner or later, I’d have the perfect project idea. 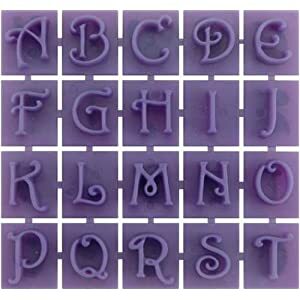 These plastic letter stamps can be used to make garden stones or used in any type of clay including the chocolate variety. After I made my stone mountain the other day, I pulled out the stamps and tried them out in my fudge rocks. They worked perfectly. I reworked my original mountain of rocks into 11 large rocks for this project. Then I spent less than ten minutes adding a nice variety of inspirational sayings. These stones look and feel like the real deal, but taste divine! Roll your cookies ‘n cream fudge into various shapes and sizes. 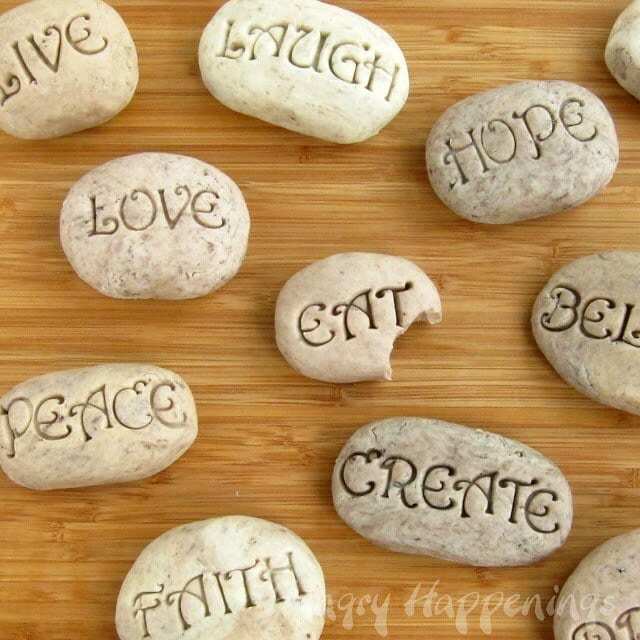 You’ll need your edible rocks to be large enough to stamp out your inspirational phrases. Press the stamps into the candy stones creating whatever sayings you’d like. You may have to hold the fudge as you pull up the stamp so you don’t distort your letters. Just a note – you can see that the stamps have letters or numbers on both sides. I pressed the “Y” into the stone which featured the word, “JOY,” but you are seeing the “A” that is on the back side of the stamp. That’s it. You are done! Super easy, isn’t it? Previous Post: « “My Dad Rocks” – Cookies and Cream Fudge Rocks for Father’s Day. Thanks! Oh, how I'd love to see 5000 comments on any of my posts. Heck, I'm happy when I get 50! Can't wait to try this – thanks!! OH MY HECK!!! I LOVE these! How fun and so clever!!! These are just wonderful! I saw them today in my email and was just amazed by them. Thanks very much for linking them up! I assume that they turned out at least as well as you had hoped, because they are perfect! The font really makes it for me, and they look just exactly like the real serenity stones, which I love BTW. Fantastic job, Beth! Way cool idea! 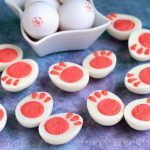 !…love these stone cookies! I'm going to get some of those letters too…would love to use them on baked salt dough…I'd also love to post your tutorial on pinterest, if that's okay. Let me know. Thanks so much for this cute idea! Coming to you from Wow Me Wednesday. Very creative idea. I love this!!! At first I thought they were real rocks lol. Then I saw the "eat" one and was confused for a second. haha. Awesome idea. I love these! 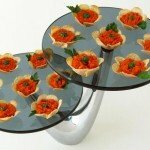 They would be perfect for a wedding reception or something like that! I'm going to have to go buy me some letters!! 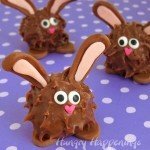 I love these….may have to try this out with my mint recipe for wedding and baby showers. So many ideas!!!!! 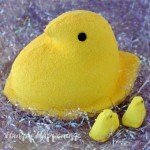 Just a hint to try powdered sugar to prevent sticking. How clever! I happen to have these stamps, I bought them not knowing what to do with them either 🙂 I guess I found it! I'm so happy you now have a fun use for your letters. I wish I had bought them before I made my Mother's Day garden stone. I'm sure I'll find many more uses for them now that I know how great they work. So cute and decorative. I bet they are delicious. OMG…every year I tell my kids they are getting rocks for Christmas, this year they will. haha 🙂 and I have the stamps, too. That will be hysterical! Great idea. Just purchased the letters… This is a great idea! I can't wait for my letters to come in to make these. Have fun with your letters. 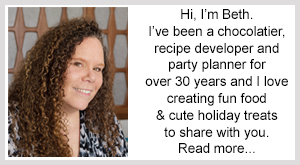 I can't wait to make more projects using mine.